Joshua Mitchell offers an interpretation of Toqueville as a moral historian, concerned less with history as an objective record of the past than as a disclosure of the trajectory of the human spirit. Though Tocqueville is the dominating figure, Mitchell also examines Augustine, Hobbes, Rousseau, Hegel and Nietzsche. Mitchell argues that Tocqueville's analysis of democracy is ultimately founded in an Augustinian idea of human psychology in which the soul or self alternately seeks withdrawal from the world or restive immersion in it. For a democracy to survive, Tocqueville recognized that its citizens had to navigate successfully between these two extremes of isolation and commitment. Democracy also paradoxically seemed to foster the very qualities - including ambition and envy - that threaten to undermine that fragile freedom which democracy affords. It is only such mediating institutions as the family and religion that can safeguard the continued vitality of democratic life and the health of the "democratic soul". 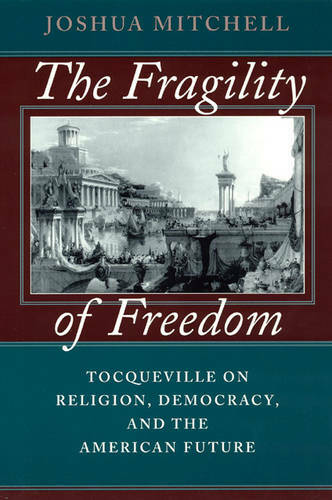 Mitchell examines these institutions within the larger context of Tocqueville's thought, identifying them as a particularly American embodiment of the Christian tradition which continues to both protect the inherent instabilities of democracy and invigorate the conditions of equality.